Secretaries of Australian Government departments have agreed to collaborate on a vision to link all government information to specific X-Y-Z location co-ordinates. 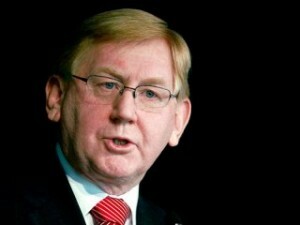 Australia’s Minister for Resources, Energy and Tourism, Martin Ferguson, announced the agreement in his keynote address to the fourth spatial@gov conference in Canberra on 22 November 2012. He said that 3D location tagging of information would improve policy and decision-making, enhance Government service delivery to Australian citizens and support greater levels of innovation and productivity across the economy. The national Office of Space Policy, led by Drew Clarke, is preparing a Location Information Strategic Plan to focus on policy, governance and potential investment. Mr Ferguson said the plan ‘will ultimately deliver open access to the data and information required to unlock the potential impact that spatial information can have on the Australian economy.